Just wow. Sometimes leftists tell you the truth and they don’t even realize what they are doing. The tax cuts that President Trump just put through are going to save people money on their taxes and put money back in their pockets. 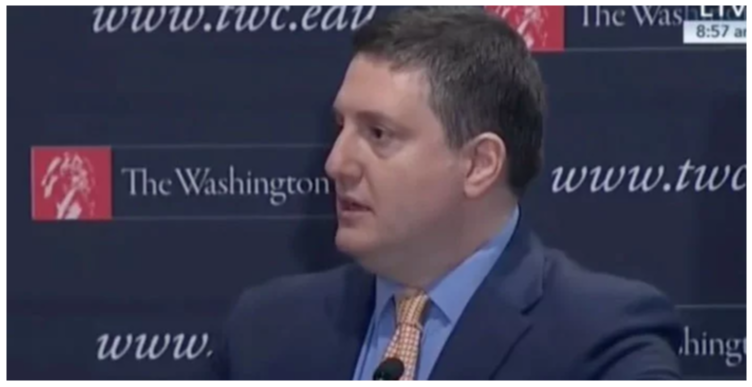 That wins votes and Hillary Clinton’s former adviser, Philippe Reines, knows it. He’s terrified that millennials are now going to leave the Democratic Party and become Republicans. Oh, I hope so. That would be hysterical. Reines is a former senior adviser to Clinton and he’s fretting that younger voters will change parties just because they get money back on their tax returns. Why wouldn’t they? You think they are going to want to stay in a party that robs them of every dime they earn? The guy whined about how hard it was for the Clinton campaign to tap into what exactly makes millennials tick, like Sen. Elizabeth Warren (D-MA) and Sen. Bernie Sanders (I-VT) have. Not all of these young people are Marxists (not yet anyway) and once they realize that socialism is poison, many will become conservatives. But that usually takes years. “I don’t know how millennials think. It’s unclear what will get them going,” Reines said. When they start seeing that they can begin keeping more of what they earn because of President Trump’s tax plan, I think that they will be just like everyone else… surprised and happy. Tax cuts work exactly the way the Republicans have said they would and exactly the opposite of what Democrats claimed. The most troubling trend Reines has found among millennials is that they like to spend their own money, rather than give it to the federal government. God forbid they’d want to keep the money they worked for. The horror of it all.